Buying car insurance isn't fun, but it's necessary - if you drive that is. While most people try to skimp on coverage as a way to save money, this tends to follow the law of diminishing returns. The first thing to consider is what happens if you are in an accident? The whole point of insurance is to transfer the risk of financial loss away from you and onto an insurance company. Still, you need to do it in a way that doesn't break the bank and make you insurance poor. One of the biggest risks you face out there on public roads is other people. It doesn't matter how good a driver you are. You can't control the actions of other people. Uninsured and underinsured motorist coverage pays out when you're in an accident and the other person doesn't have enough money to compensate you for your losses. This is very underrated coverage - think about it. There are a lot of deadbeats out there who either drive illegally because they don't have basic liability insurance or they have the state minimum. How does that help you when the other guy hits you and you tweak your back? If you buy $1 million in uninsured/underinsured motorist coverage, you basically protect yourself from any property damage done to your car and mild to moderate medical expenses. It's a small price to pay. Umbrella coverage is supplemental coverage for auto and home insurance. Under an auto insurance policy, an umbrella policy will provide higher liability limits, more uninsured/underinsured motorist coverage, and may also provide enhanced medical coverage. For example, let's say you have bodily injury coverage of $1 million. An umbrella policy could extend that to $10 million. Why would you need so much? Because medical bills are the one thing that add up quickly. True, you probably don't need $10 million or even $1 million to cover your personal property, but it's going to come in handy if you're ever involved in a multi-car pileup, or in an accident where you or someone else is injured, or a situation where there's real property damage (i.e. you run into someone else's property like a home, fence, garden, etc.). The easy wins here are consolidating your auto and home policies, and most people already do this. The more obscure discounts come from taking a safe driving class, joining social or fraternal organizations, and asking about discounts for being a college alumni or belonging to a fraternity or sorority. You can also get discounts for having your vehicle's VIN number etched into the windshield, rear window and the side windows. If you're in college, keeping your grades up is another great way to earn yourself a discount. Your credit score also impacts your premium rate, so work on getting your debt levels below 40 percent of your income and challenge any erroneous derogatory remarks on your credit report. About the author : Gillian Kearney has worked in the car insurance industry for years. She enjoys sharing her insights and tips on automotive blogs. Visit the www.monkey.co.uk link for more information. Great post. 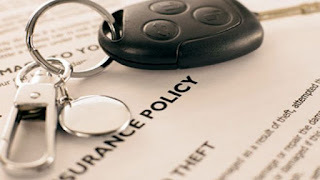 This is require to know some important information to get a valuable auto insurance. You need to find the right policies, the most suitable for your car. Equally important is the understanding of the law, and apparently safe vehicle insurance, is generally divided into.